Frogtown Web Design converted a Joomla website we created in 2009 to WordPress. The new WordPress website is now mobile-friendly and allows for a modern design with large images. 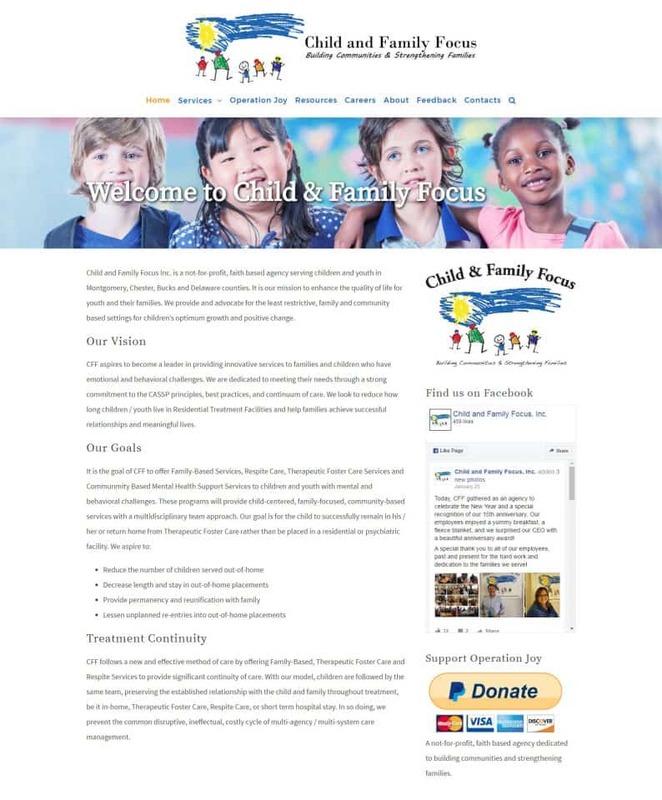 Child and Family Focus Inc. is a not-for-profit, faith based agency serving children and youth in Montgomery, Chester, Bucks and Delaware counties. It is our mission to enhance the quality of life for youth and their families. We provide and advocate for the least restrictive, family and community based settings for children’s optimum growth and positive change.